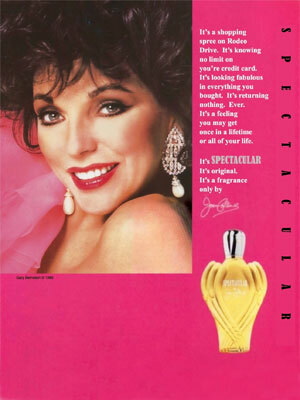 Spectacular by Joan Collins is a floral chypre fragrance for women. This is Joan's first celebrity perfume from QVC. Launched in 1989 and available in eau de toilette spray (1.7 oz., 3.3 oz. ).